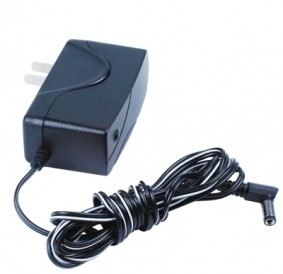 12V 500mA power supply for use with CCTV cameras for the home and business. This power adapter has plenty of amperage for security cameras with no infrared night vision, or up to 24 regular mini size infrared (IR) LEDs. Be sure to check the required amperage and voltage for your security camera. If your cable run is over 100ft on a 18 awg power wire, we recommend using a 12V 1amp power supply to account for the power drop.